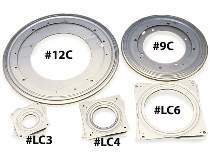 Extra-heavy-duty Lazy Susan bearings. Comes with mounting instructions. Order mounting screws separately below.